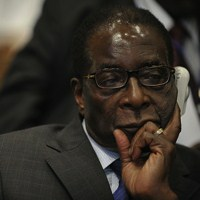 Zimbabwean President Robert Mugabe and his ZANU-PF party are in a buoyant mood. Their resounding victory in July’s presidential and parliamentary elections, by means both fair and foul, releases them from an inconvenient four-year power-sharing arrangement with their rivals, the Movement for Democratic Change (MDC). They can now resume sole responsibility for mismanaging the country.